An obituary note is a very solemn and sensitive task. This is a note that informs about the death of a person and a note on the person and his or her funeral details. This is a task that can be best accomplished in case a certain predetermined format is followed. Creation of such notes and articles is a very complex task and will require a lot of proficiency in language. The obituary template designs can be trusted to create the most effective obituary article. Several situations crop up in life and you never know what you end up doing to survive certain tight corners. The blank obituary templates can also help you in certain situations when you would want to your own obit or someone else’s. To your necrology is not a child’s play or it is not something you keep doing every day. 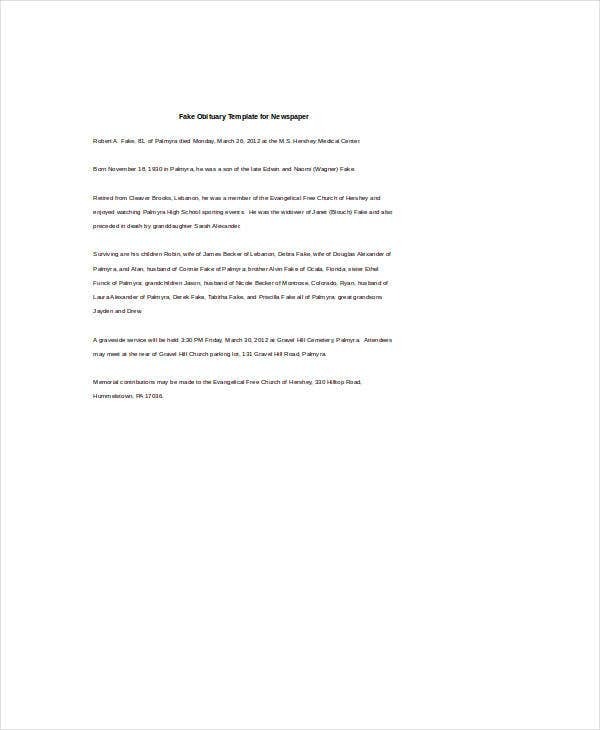 This is a template design that can support a detailed account of an obituary article. This is a format that can also be used for an article that is to be released in the press. 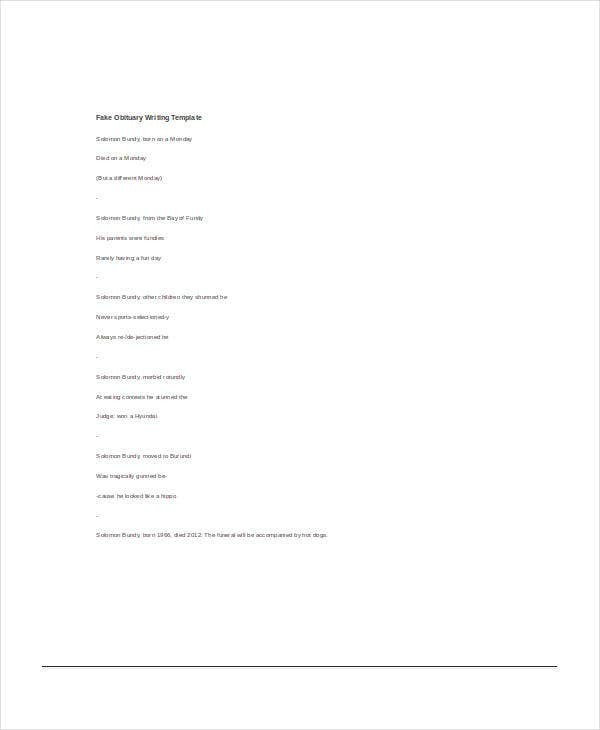 This is a template that can be attained in the form of word document. The template is fully editable and can be changed as per requirement. In case you want to pay your last tribute and respect for the most esteemed person of your life, your school teacher the format of this template is just the right thing. The user can download this template format over the internet. This format is available in the form of word document and also PDF. The template has superb responsive features that make the template highly navigable. 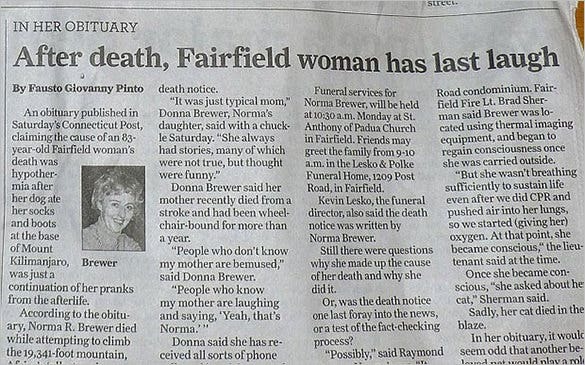 This is an obituary template that can be employed in various contexts. The simple and the essentially minimalistic feature of the template makes it suitable for being employed in various contexts. The template has a great resolution range that can offer the user with a very good quality of printout. The user can get this format for free from the internet. 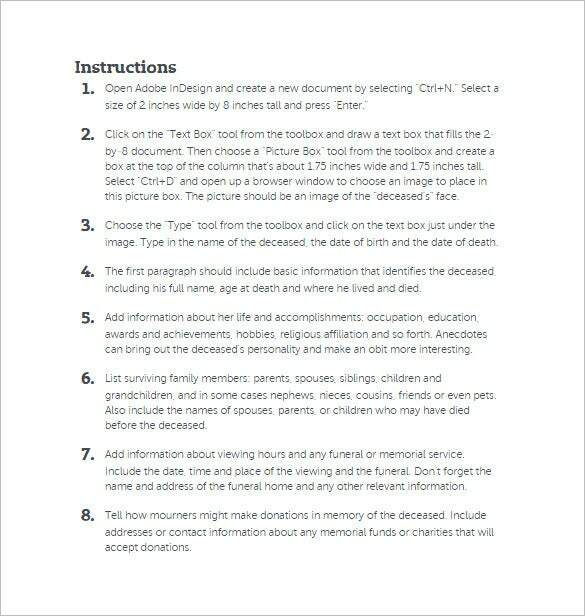 busefuneralhome.com | This obituary template format is just the right thing for you if you want to release a notification about the death of a person. The template has a great background theme which is somber and solemn that suits the occasion. Along with the contents in the template the user can also makes changes in the background theme of the templates as per requirement. Thereafter, these obituary templates Word can be utilized when required. These can be easily customized and are available for free in PSD, GIF etc formats. Print them and fill that up depending on your requirements. Get your eulogy done by no one else but you. The obituary templates can be used for the purpose of creating an obituary note that can be released in a print media. The template designs offer one of the best formats that can enable the user to create the most effective obituary notes. These templates can target different people as their audience. 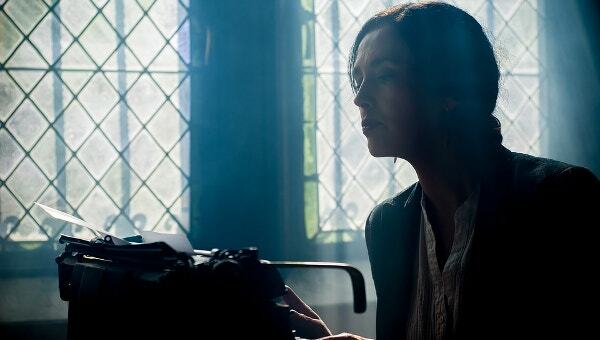 Writing an obituary is one of the tasks that can be required by anybody at any point of time. This format will allow the user to make an effective article on the deceased person and will allow them to write an effective article on the person. The biggest benefit of these templates is that provide a ready to use format to the user which saves a lot of time of the user. This also allows the user to mention all the required details and forego the unnecessary details. The obituary template formats can really help in the process of making great obituary notes. These are the templates that can provide you with the most apt and suitable format for writing such tricky and highly sensitive articles.